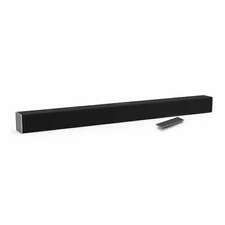 This SAMSUNG 3.1 Channel Soundbar with Wireless Subwoofer is in great working condition. SAMSUNG 3.1 Channel Soundbar with Wireless Subwoofer HW-MM55C/ZA Specifications You'll feel it. Bluetooth connectivity lets you fill the room with your favorite music. This Boston Acoustics PV-1000 Subwoofer Driver is in good working and physical condition with minor scuffing from normal use. This Subwoofer Driver was tested on a low frequency of 40hz and produced deep sounding bass with no issues noted by the Testing Technician. Vintage Sony SS-H3500 3-Way Book shelf Speakers, 90 Watts, Well-Kept Condition. These speakers are in good working Condition Shipped with USPS Parcel Select Ground. Trending at $66.25eBay determines this price through a machine learned model of the product's sale prices within the last 90 days. For auction is one (1) Sonos PLAY:3 Black Wireless Speaker - Excellent Condition. Speaker has been lightly used with a few surface light scratches. A few deeper scratches on the bottom. One of the bottom pads fell off but has no impact on sound quality. This can be seen in photos. Speaker sounds amazing for its size, even better when paired. Free shipping to continental US. No international. No returns/refunds. Thanks for looking. 6 product ratings6 product ratings - Polk Audio OS70 6 1/2 inch Outdoor Loudspeakers White NIB Speakers Pair 6.5"
Pair Of Triad InRoom Bronze Omni Speakers in near-mint condition. These are passive speakers, with bare wire/banana connectors. Weight5.4 lb. Height8.94 in. Depth5.5 in. Width5.25 in. Tweeter Size:1”. 6.5" Full Range, compact speaker. Connectivity Wired. Waterproof IP65. Form Factor Outdoor. Mounting Depth: 70mm, 87mm. Frequency Response 70~ 20000Hz Resp. Magnet Protection: Plastic Water Guard. Material: ABS (Acrylonitrile Butadiene Styrene). For auction is one (1) Sonos PLAY:3 Black Wireless Speaker - Excellent Condition. Comes only with original power cord. Speaker has been lightly used with a few light surface scratches. Speaker sounds amazing for its size, even better when paired. Works great. Free shipping to continental US. No international. No returns/refunds. Thanks for looking. The outboard wireless subwoofer improves the overall audio experience, adding impressive bass to movies and more. 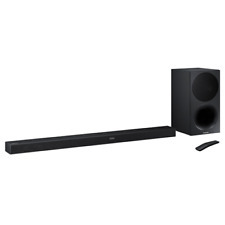 Samsung HW-MM55C/ZAR 3.1 340W Channel Soundbar with Wireless Subwoofer - Certified Refurbished. You'll feel it. Bluetooth connectivity lets you fill the room with your favorite music. Connect your Soundbar to your Samsung TV with ease and without the clutter of wires via Bluetooth. 1" Linear Travel Suspension Titanium Tweeter. Tech NOTE'S Good working condition. All New Tractrix Port. S M- T E C H S. Strong, Flexible Removable Grille. NEW Polk Audio 700-LS Vanishing In-ceiling Speaker New 700 LS Shipping Fast. Polk Audio 700-LS Owner's manual. Polk Audio product brochure. 3/4" ring-radiator tweeter. 5" x 7" Dynamic Balance woofer with Cassini Oval driver design. three-way speaker design includes 2-1/2" Dynamic Balance® midrange speaker. 5 out of 5 stars - NEW Polk Audio 700-LS Vanishing In-ceiling Speaker New 700 LS Shipping Fast. 3 product ratings3 product ratings - NEW Polk Audio 700-LS Vanishing In-ceiling Speaker New 700 LS Shipping Fast. Sony Subwoofer SS-WSB104 Sub Speaker System - Nice!